The Diary service is of significant importance to Members and a priority for Numeris. Similar to many research organizations, achieving targeted sample levels has become more of a challenge. It is becoming increasingly difficult to reach participants due to decreasing contact and cooperation. At the same time, populations are changing and shrinking, and household sizes are decreasing, further impacting sample usage and strain. These challenges can result in low sample returns in some markets, which can have an impact on the precision, or reliability, of audience estimates. As an immediate response to reduce the strain on the available sample and preserve sample for the Fall 2018 Survey, Numeris will not be measuring the following Radio Central Markets (CTRL) during the Spring 2018 Radio Diary survey which runs from February 26th to April 22nd, 2018. 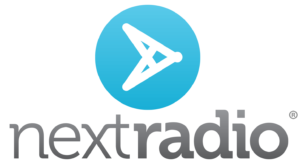 All of the remaining Spring 2018 radio CTRL markets are not affected and will be surveyed as per the 2017-18 Radio Survey Schedule. This immediate solution will reduce pressure on the available market sample and help ensure a strong, business as usual, enumeration process for the Fall 2018 Radio Diary survey. Numeris is taking an aggressive and proactive approach to not only address the issue in these ten spring markets but to also provide the industry with a viable long term solution that will produce on-going sustainable sample representation in all our diary markets. Numeris is both confident and encouraged about the opportunity to develop new and innovative solutions for the industry in order to maintain the accuracy, precision and integrity of Canada’s broadcast measurement system. In view of the above, Numeris recommends that members implement a multi-book average approach when evaluating diary survey results. If you have any questions, please contact your Numeris Member Services Executive. 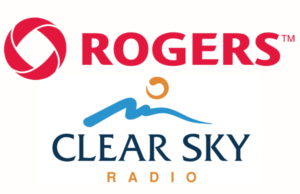 Rogers Media announced today that it has entered into an agreement with Clear Sky Radio Inc. to acquire the radio broadcasting licence CJCY-FM (102.1 CJCY Classic Hits). The FM music brand services communities in Southeast AB, including Medicine Hat along with Redcliff, Dunmore, Seven Persons and Bow Island. Closing of the transaction is expected to occur in the coming months, and is subject to approval from the Canadian Radio-television and Telecommunications Commission (CRTC). CJCY-FM will join Rogers station CKMH-FM (105.3 ROCK) in Medicine Hat, rounding out the company’s radio portfolio of 55 stations across the country. This acquisition also serves to strengthen Rogers Media’s diverse roster of radio and television brands in Alberta, including 14 radio stations in the genres of Rock, Country, Top 40, and Multicultural, along with TV properties City, OMNI Television, and Sportsnet. Rogers is a leading diversified Canadian communications and media company. We are Canada’s largest provider of wireless voice and data communications services and one of Canada’s leading providers of cable television, high-speed Internet and telephony services to consumers and businesses. Through Rogers Media we are engaged in radio and television broadcasting, televised shopping, magazines and trade publications, and sports entertainment. Our shares are publicly traded on the Toronto Stock Exchange (TSX: RCI.A and RCI.B) and on the New York Stock Exchange (NYSE: RCI). The Commission approves an application by Byrnes Communications Inc. (Byrnes) for authority to acquire from Vista Radio Ltd. the assets of the English-language commercial radio stations CJED-FM Niagara Falls and CFLZ-FM Fort Erie, Ontario. Byrnes stated that it will invest in the two stations, including in their capacity to offer local programming. The Commission considers that this transaction provides benefits for the broadcasting system and for the residents of Niagara Falls and Fort Erie. 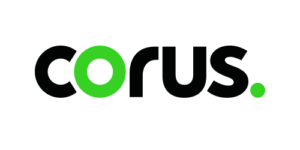 Corus Entertainment Inc. announced its first quarter financial results today. Symonds tells the magazine marketers will make cars and the brands inside them more useful. 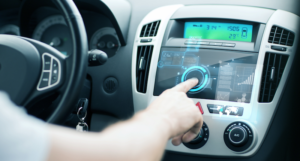 That could mean increasingly localized ad buys on maps, ad-sponsored charge-ups for electric vehicles or brand-subsidized LTE or Wi-Fi. 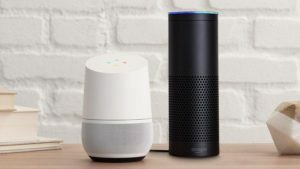 That’s what the results of a new survey from NPR and Edison Research confirm, as devices like Amazon’s Echo and Google’s Home continue to grow in popularity. According to data from The Smart Audio Report, one-in-six Americans now own a smart speaker (16%), up 128% since January 2017. 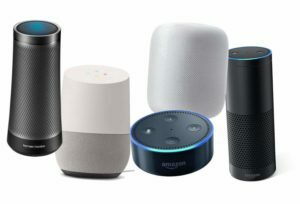 Seven percent of Americans report acquiring at least one smart speaker between Black Friday and the end of 2017, and 4% report acquiring their first smart speaker device during the holidays. Who dominates the category? Amazon. More than two-thirds of smart speaker owners report having an Echo, Dot, or other Alexa-based product. One quarter of smart speaker owners report having a Google Assistant product such as Google Home or Google Home Mini. 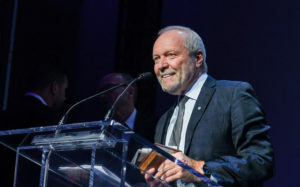 The Canadian Academy of Recording Arts and Sciences (CARAS) has announced broadcasting executive, music industry leader, and philanthropist Gary Slaight as the recipient of the 2018 Humanitarian Award. The award, formally known as the Allan Waters Humanitarian Award, recognizes an outstanding individual in the music community whose humanitarian contributions have positively enhanced the social fabric of Canada and/or whose impact can be felt worldwide. Global TV And Radio Broadcasting Market Research Report 2018-2022 provides an in-depth analysis of the US appraisal market by value, by volume, by segments, by number of AMCs, appraiser’s tenure, etc. The report also gives an insight of the Canada addressable appraisal market opportunity. This report provides a detailed analysis of the TV And Radio Broadcasting market with description of market sizing and growth, segmentation of market by products & services and major markets, top market players etc. The report recapitulates the factors that will be responsible for the growth in the market in the forecasted period.